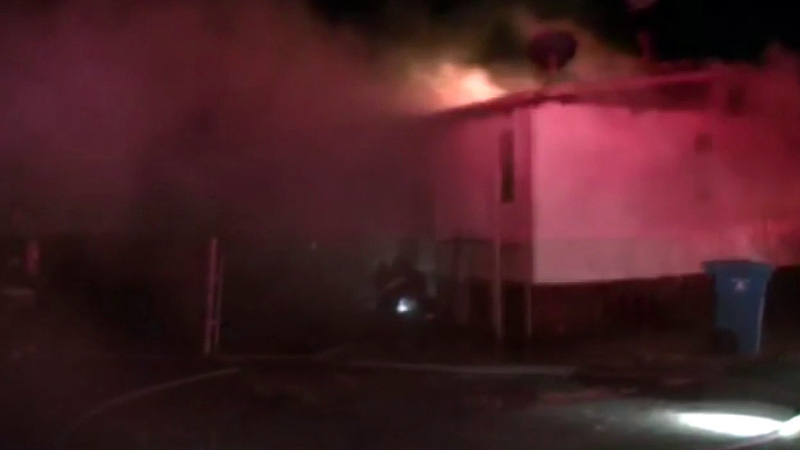 VALLEJO, Calif. (KGO) -- Investigators are trying to determine the cause of a mobile home fire. It broke out just before midnight at the Vallejo Mobile Estates on San Joaquin Drive. Firefighters found the doublewide trailer fully engulfed and took measures to keep the fire from spreading to other homes. It took about 40 minutes to put it out. The Red Cross is helping the two people who live there find another place to stay.